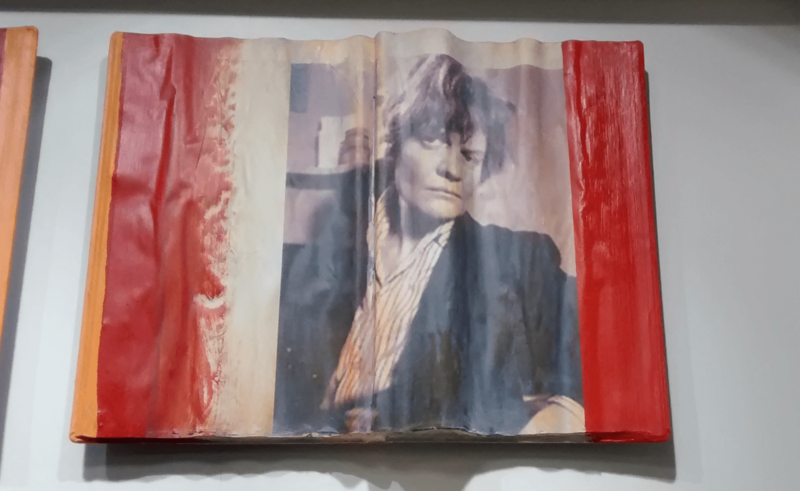 Iris Murdoch wrote only one historical novel, The Red and the Green1. It follows the events leading up to the 1916 Rising as they affect an Anglo-Irish extended family “in a complex story story of misunderstandings, failures of perception, and ultimate self-discovery” 2. The novel has been described as having as its major themes “sexual initiation and obsession with religion and the past”3 Declan Kiberd suggests Murdoch’s analysis of sexual inhibition in Andrew White-Chase and especially Pat Dumay influenced William Irwin Thompson’s The Imagination of an Insurrection, a 1967 psychological study of the 1916 leaders4. Thomas Duddy on the other hand emphasises the interpersonal in the novel for example how many of the characters are oblivious to historical events due to their focus on relationships. Duddy also points out how Murdoch’s use of shifting view points (eg Barnabas’ inability to express in any way the love he feels for his step-sons) relates to Murdoch’s ethical theory and arguments against behaviouralism5. “All Miss Murdoch’s novels can be in an important sense be seen as studies of the ‘degrees of freedom’ available to individuals”6. This novel is no exception: characters are constrained by convention and their own shortcomings. This novel also deals with freedom in a more political sense: the second chapter portrays Christopher, the English born scholar of Gaelic and Irish history explaining Irish history and politics to Hilda (for whom “England and Ireland are really one country”, p. 39), with (more nationalist) interjections from Frances. During the discussion Frances makes the observation “being a woman is like being Irish…Everyone says you’re important and nice, but you take second place all the same” (p. 36) Her father protests “women have always had Home Rule”, but later notes “it’s easy for the top dog to extend his sense of identity over his inferiors. It’s a different matter for the inferiors to accept the identification” (p. 39). Frances’ remark supports a reading of the novel by Louise A. DeSalvo which sees the Irish-English relationship as being portrayed through the female-male relationships in the novel. “For in this love story, the issue of good loving and the issue of morality in politics are inseparable: they are, in fact, at base, the same issue”7. Andrew is in love with Frances and wishes to marry her. But his love doesn’t take Frances, her nationalism or her interest in social justice into account. His love is really for an image he has of Frances: a heroine in a romance novel (see p. 64 and his imagined reaction of her to his marriage proposal) and a creature he can dominate and protect. In real life, she refuses him, “”exercising her last inalienable and terrible natural right, the free disposition of the heart” (p. 183). Frances’ father Christopher, on the other hand, is in love with Millie Kinnard, who “might have been somebody if she’d been born a man” (p. 36). 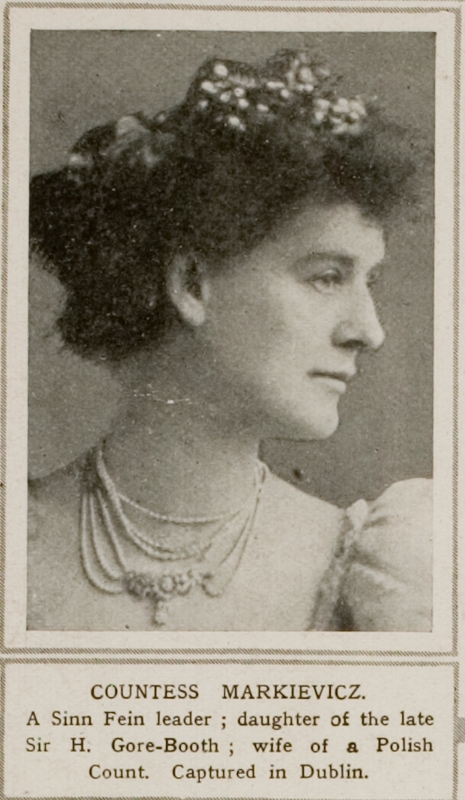 Declan Kibard suggests she is based on Countess Markievicz8, but she lacks Markievicz’s drive and determination. Millie has progressive views on the woman’s question, she had trained to be a nurse and served on the front during the South African War, she shoots a revolver in her dressing room and “was rumoured to wear trousers and smoke cigars…She had a great many gentleman friends” (p. 25). But she is not involved in politics or activism; instead Millie tries to dominate the men around her. She succeeds with Barnabas, who she treats as a household pet. But Christopher can dominate her in turn. Millie is in debt and Christopher offers to support her if she marries him. He is well aware he is effectively purchasing her. The process is described, in Christopher’s thoughts (p. 80) as the slow process of taming a wild animal, culminating in Barnabas’ judgement (p. 145) that Millie, the quintessential free animal, is now wearing a collar of slavery. In both cases, true attention (the “just and loving gaze”9) is absent. Instead fantasy reigns, defined by Murdoch as “a proliferation of blinding self-centered aims and images” 10. Andrew does not make the moral effort to truly see Frances. Christopher sees what he is doing, but chooses his aims regardless of Millies wishes. He dominates Millie, but “she makes him pay by forcing him to watch her dominate younger and more vulnerable men”11. Ultimately Millie finds her liberation in joining the Rising, much like some women who did so in real life12. “In a number of her reviews and essays, Murdoch states that the attitude that people adopt when they love well is essentially the same attitude that political leaders should adopt when they are behaving in a morally correct way in political encounters”13. In both love and in politics, the other has to be acknowledged as separate, in an ongoing process requiring our full attention. We must guard against imposing our fantasies onto others, assuming they will react as we want them to. Fantasy, as opposed to moral imagination, has been identified as a key distinction in Murdoch’s political thought by Bridget Clarke14. Moral imagination is necessary to truly understand another, as Frances does in the novel, drawing out Kathleen’s pacifism despite the hostility of her militant son, Cathal (p. 57). But fantasy distorts – Andrew is beset by amorphous and ill-defined fears, is led to enlist as a cavalry officer when he fears horses and entirely fails to understand the woman he loves. Politics, then, is aimed at recognising the contingent person, the unique individual that exists and has a right to exist in all their uniqueness. International politics requires recognition that nations also differ from each other. Politics, too, requires that people see clearly the problems that they face and the price of fixing them. Frances concludes “it’s scandalous, wicked, and a society which allows it deserves to be blown to bits” (p. 199) when she sees the suffering of the Dublin poor. Pat Dumay corrects the imaginings and hopes of his brother Cathal (the Irish soldiers would fight the rebels, the city would be shelled, the Americans would not fight for Ireland… Chapter 8). Yet even then, it does not mean everyone will come to the same conclusions. The Red and the Green is in the end a story of tragic freedom, defined by Iris Murdoch as “the concept of freedom which I have related to the concept of love: freedom as an exercise of the imagination in an unreconciled conflict of dissimilar beings” 15. Pat Dumay’s nationalism was not Catholic or theoretical, but “an Ireland of the mind, to be relentlessly served by a naked sense of justice and a naked self-assertion” (p. 87). He sees the injustice around him, but has reached the conclusion that Ireland’s freedom must be obtained first. Frances, on the other hand, sees social justice as more important, as the primary goal to be sought (if she only knew how). Meanwhile in Ireland, nothing much has changed. “A provincial dump living on German capital”, says Frances’ husband. “A dairy farming country that can’t even invent its own cheese” (p. 313). The Irish rewrite their own history, trying to forget the Civil War. From Kathleen’s letter, the only things altered are the place names and that she takes in lodgers. The lives of those in Blessington St (the street where Iris Murdoch was born) seem no better. The novel ends with the whiff of war. Frances’ son is hankering to go to the Spanish Civil War and speaking of freedom just as Cathal had: “whenever it’s the turn of a country, however small, to rise against its tyrants, it represents the oppressed peoples of the whole world” (p. 316). As we, and Murdoch know, the second World War was just around the corner. More tragedy was to come. What Murdoch did not know was that violence was also to erupt in Ireland within four years of her book being published. Was the Rising all for nothing? “In the undivided strength of their first loves they had died, and their mothers had wept for them, and had it been for nothing? Because of their perfection she could not bring herself to say so. They had died for glorious things, for justice, for freedom, for Ireland” (p. 319). Is Frances trying to convince herself or does she believe it? Will the glorious things, justice and peace for all, ever be won? The novel leaves more questions than answers. Pauline Hall (2016) “A Terrible Thing” in The Dublin Review of Books (online). Patrick Bury (2016) “How the rebels could have won in 1916” in Irish Times (17 Mar 2016) – the contingency of 1916.